Club Penguin Cheats by Mimo777 Club Penguin Cheats by Mimo777: The Great Snow Race Is On by Billybob! 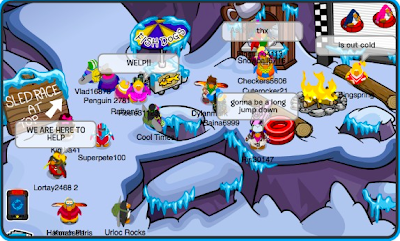 The Club Penguin Great Snow Race is on now! And Billybob wants to know what you think of it. Click here to let him know. Cheats for the Great Snow Race can be found here! And, Operation Hibernation is awesome; you can find the cheats here. I noticed something with the system defender stamps and I think there will be more stamps for it. If you look at the pictures for system defender in your stamp book, the third picture says you need 16 stamps but at the momment there are 14. Someone already told Mimo about this. Sorry! what happened to the snowboard competition. Mimo! Herbert has a picture of the lighthouse with a sticky note title Z on it!